When I first enrolled in a media psychology program, I had a limited concept of the field. I had stumbled across the distributed learning program online, and the combination of media and psychology fascinated me. My undergraduate degree is in journalism and mass communications, but my family is involved in the mental health field, so the crossing of media and psychology seemed natural. On top of that, only one university in the United States offered a degree in media psychology and having an opportunity to be part of a new area held a personal fascination of its own. Media psychology seemed clear and simple: It’s a specialized field of psychology revolving around the scholarly research of media. Giles’ (2003) book Media Psychology primarily defined my original concept of the field. Giles covered the development of media psychology within psychology and communications research over the past century, concentrating on media effects, media violence, advertising, media representations, and other research topics related to mass media. Many of these topics about the media also have been featured in the media and are a part of the public awareness of the field of media psychology. My initial understanding of media psychology had been limited to common public awareness issues; however, I soon discovered that one of the most exciting things about this area was the breadth and depth of topics being explored. Much like the media technologies that form the basis of the interactions we explore, there is always something new on the horizon. Classmates, professors, and professionals in the field have opened my eyes to new interpretations of what media psychology encompasses. The foundation of this new branch of psychology comes from a variety of fields including sociology, technology, media and communications studies, and psychology. Much of the early media-related psychological research concentrated on negative effects of media, but researchers are now exploring the positive aspects as well. Media psychologists propose that although there may be negative impacts of media such as violence in video games and films, false interpretations of reality due to intense television viewing, and persuasion through advertising, there may also benefits, like the social bonds formed in virtual worlds, therapeutic uses of media, and certain psychological benefits of developing media skills. These emerging areas of research offer an integration of positive and media psychologies. Bradburn (1969) showed that positive and negative traits are independent of each other rather than opposites. For media psychology, this means that removing negative media impact does not necessarily cause a positive influence. A growing body of research is beginning to look at what interactions with the media offer to those who use and create the media and in what ways media can be used for social justice, education, and community building. As an example, although gaming research historically concentrated on violence and other content-related issues, a new wave of researchers are looking into how gaming can benefit the players (Murphy, 2007). Books and journal articles are beginning to feature research on the potential of gaming to enhance areas such as social interactions, relationship building, and skill development. Online social networking through websites and interactive digital worlds is also attracting new attention along a similar line of strength-based research. The previously mentioned investigations are not all being conducted strictly by media psychologists. Researchers from a variety of fields in and outside of psychology are carrying out media research with a psychological foundation. By bringing these disciplines together, the field continues to grow. Currently only Fielding Graduate University offers an accredited media psychology PhD program in the United States, but the educational opportunities are growing as fast as the field. As of Fall 2007, California State University offers a media master’s program with a psychological foundation, and the University of Chicago, University of Denver, University of Iowa, New York University, Stanford University, MIT, and The New School offer some form of technology, communications, or media based programs. The American concept of media psychology practitioner is also evolving. 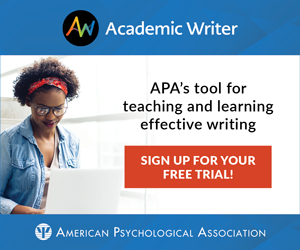 Founded in 1987, the American Psychological Association’s Division 46: Media Psychology was developed around psychologists practicing in the media. The original focus of this division centered on members acting as experts in the media, hosting shows, and training others for media appearances. In the past 20 years, a new group of media psychologists has evolved both within APA and outside of it, looking beyond the media technologies and incorporating the cultural systems that develop around them. Delwiche, A. (2006). Massively multiplayer online games (MMOs) in the new media classroom. Educational Technology & Society, 9, 160-172. Johnson, S. (2005). Everything bad is good for you. New York: Riverhead Books. Prensky, M. (2006). “Don’t bother me mom — I’m learning!” How computer and video games are preparing your kids for twenty-first century success — and how you can help! St. Paul, MN: Paragon House. Shaffer, D.W. (2006). How computer games help children learn. New York: Palgrave Macmillan. Giles, D. (2003). Media psychology. Mahwah, NJ: Erlbaum. I am thoroughly interested in Media Psychology. Are there any opportunities available for me? Thank you. Jenny Whittemore Fremlin is a first-year doctoral student at Fielding Graduate University in the media psychology program. Her research interests focus on media creation and independent media, specifically in relation to positive impact on self-efficacy and creativity. You can contact Jenny at http://jennyfremlin.com/contact/.